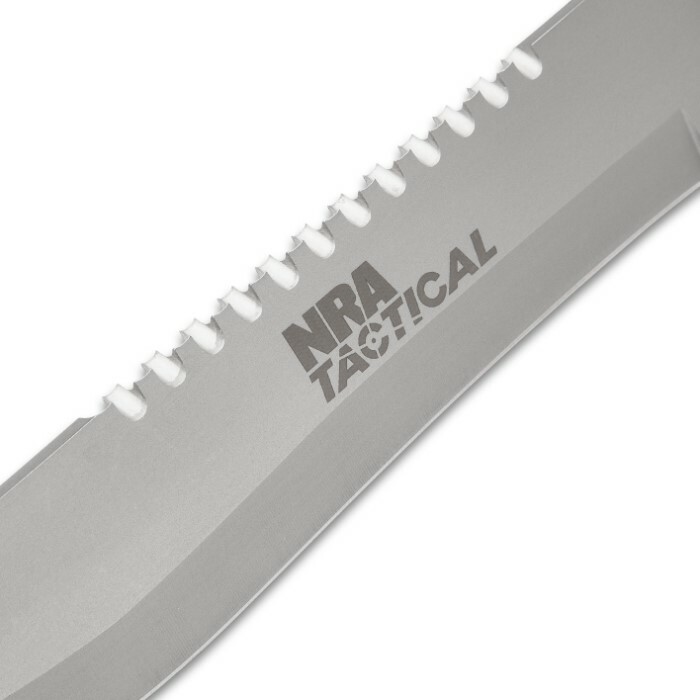 The 13 3/4" NRA Tactical S.A.F.E. Knife offers an 8 1/2" stainless steel sawback blade that doesn't play around. 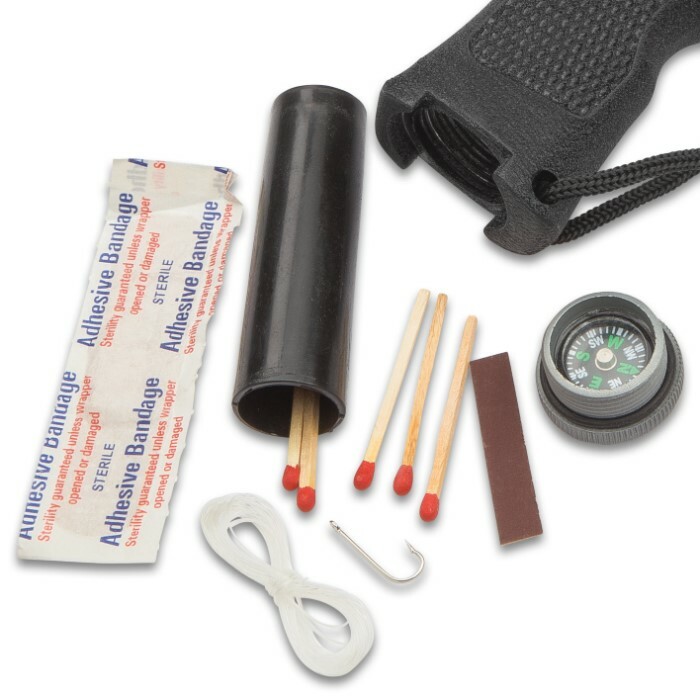 A survival kit fits inside the slip-proof, checkered-grip handle and is kept waterproof with a screw-on cap that is also a compass. The sturdy polymer sheath has an ABS liner to keep the blade from cutting through. 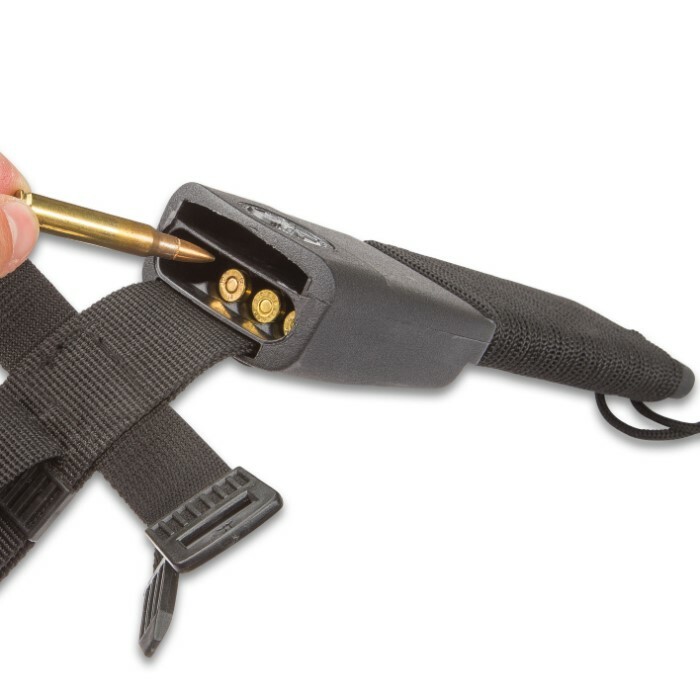 A cartridge holder stores rifle ammunition in an emergency storage compartment built into the sheath liner, ensuring you'll be ready for anything. Impressed from the moment I opened the box. 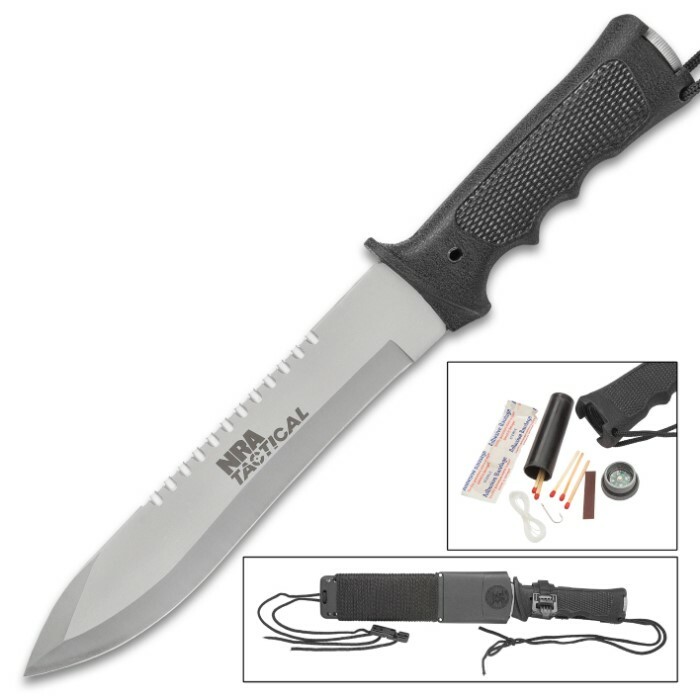 Very large, heavy duty tactical knife. 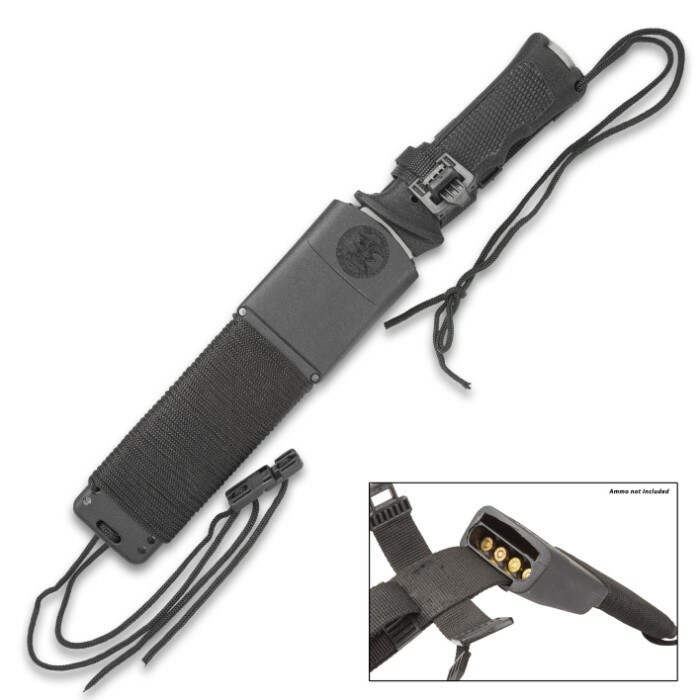 Very durable molded sheath with Paracord wrap and storage for 4 rounds of rifle ammo of choice. Great buy, I highly recommend this impressive knife! Even though these are not full tang they are still really good knives for the price. A good knife to throw in a basic field kit. Making this knife solid is as easy as buying some epoxy or J.B. WELD like others say. 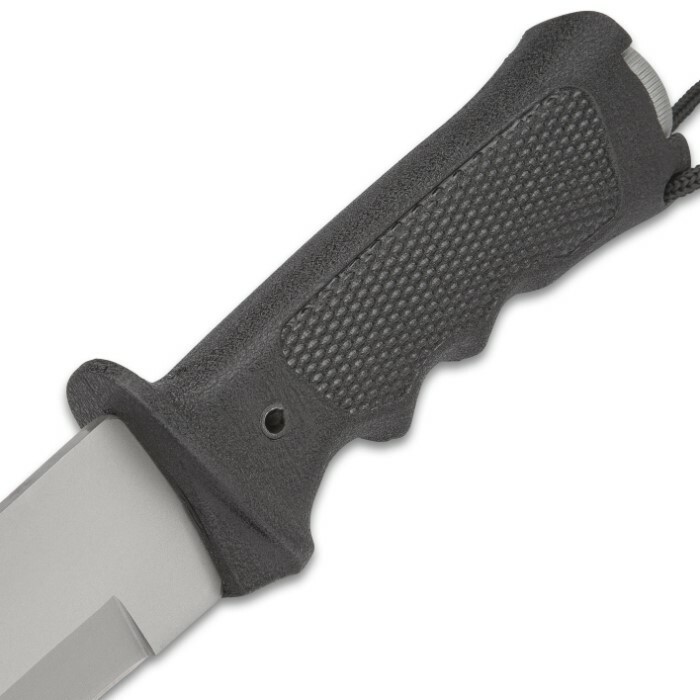 This knife is similar to a survival knife made by Kershaw that is now discontinued. R.G. I bought two of these. Had to replace the tension pin on one. It had sharp edges. Otherwise, very happy with this knife. Its unique design makes the blade attachment very strong, unlike other knives with hollow handles. The blade is securely seated in the handle and then pinned securely to the handle. I don't foresee any problems using it. For 12.99 Its worth it! I am suspicious of the strength of all hollow handle survival type knives even though I like them! That said, I own this knife, I like it, and it seems very strong. 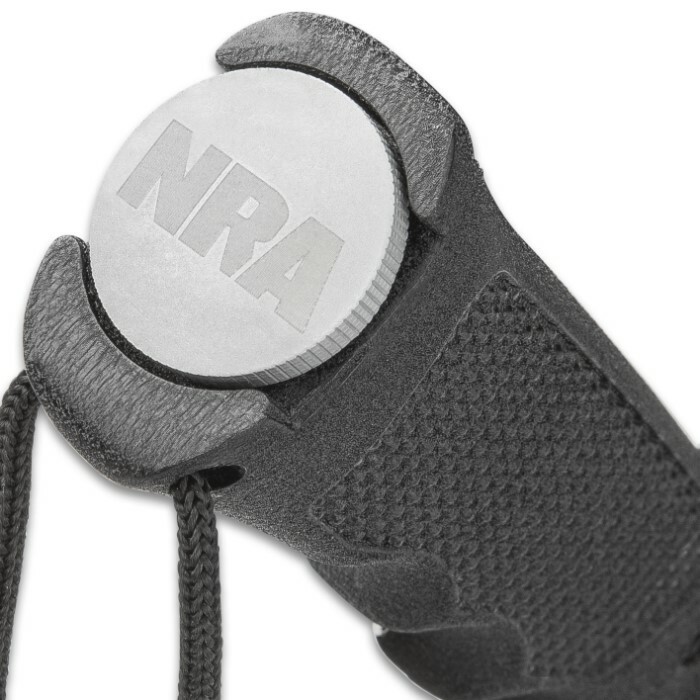 Good knife & the NRA together!